Last week it was exposed that Parks Victoria had published fabricated evidence to back up their baseless claim that climbers had placed “bolts in rock art” in the Grampians. 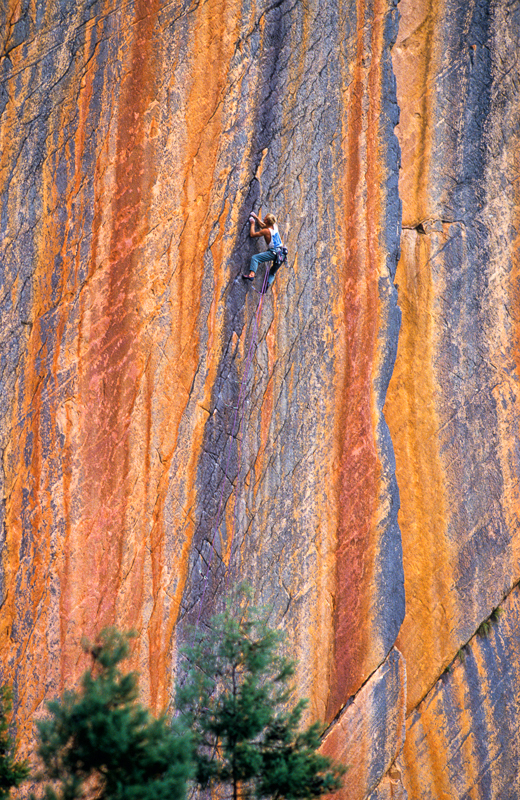 This week it has been shown that Parks Victoria are using grossly exaggerated figures about the growth of climbing. Are these two things important? Yes! They are cornerstone arguments that Parks Victoria are using to shut down climbing across much of the park. Roughly 45% of the routes in the guidebook (the good climbing) are affected by these bans. This has to stop! See www.savegrampiansclimbing.org for the latest, full link in profile for now. Ian Vickers on-sighting Archimedes Principle (25) on Eureka Wall.